Watton receives History Teacher of the Year award - Hamilton School District. 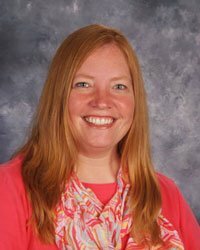 The Gilder Lehrman Institute of American History named Templeton Middle School eighth grade social studies teacher Rhonda Watton its 2017 Wisconsin History Teacher of the Year. The award highlights the crucial importance of history education by honoring exceptional American history teachers from each state, the District of Columbia, Department of Defense schools and U.S. territories. The National History Teacher of the Year will be selected in the fall and presented Nov. 8 in New York City. Watton will be presented with a $1,000 honorarium at a state award ceremony, and Templeton will receive a core archive of American history books and educational materials. Watton will also receive an invitation to a 2018 Gilder Lehrman weeklong seminar that offers teachers daily discussions with eminent historians, visits to historic sites and hands-on work with primary sources. Gilder Lehrman Institute of American History is the nation’s leading organization dedicated to K-12 American history education. The Institute’s mission is to promote the knowledge and understanding of American history through educational programs and resources.